As you finalize this year's marketing plan, it's easy to become enchanted by so many promises of success made by digital marketing promoters. Digital marketing can be effective, certainly, but it's not the only solution. In fact, print marketing remains the most powerful way to promote your products and services. The proliferation of digital media means the vast majority of bloggers, tech publishers and even entrepreneurial magazines have a heavy focus on digital marketing coverage. Just because something is newsworthy don't make it right for your business; such overexposure for digital marketing is good for you, however, as your competitors will scramble to the online environment and drop print marketing - paving the way to earn even greater return on investment. The best strategy is to incorporate a mix of digital and print marketing into your strategy, justified by the following 10 print marketing statistics you should know. 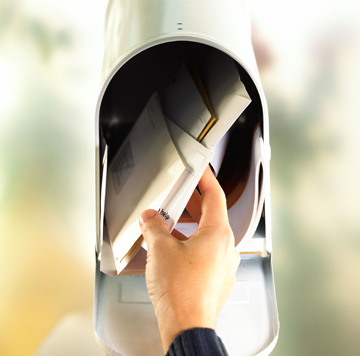 If you've ever wondered where to find new customers, direct mail marketing is the solution. As far as fundraisers go, direct mail can't be beat! lt's also cheaper than staging an event. Even if your direct mail marketing doesn't yield an immediate response, customers will remember you when it's time to buy.